Have you ever wondered how does the search engine know if your websites should be shown up in the search results when a search query is triggered and how small parameters can affect the search engine rankings of a website? Well, here comes SEO— Search Engine Optimization, it helps in ranking the web pages based on various complex factors. SEO has become the buzz of the day and is indispensable. Although a constructive process, SEO can get ineffective at times. Whenever your website goes under maintenance or upgradation, there are many changes made to it by the developer and many times, there are SEO mistakes done. These changes could affect your SEO efforts and make the website un SEO-friendly. The following are the changes you need to make post-relaunch of your website to make your SEO efficient once again. If the developer adds features on the website it can make the website heavy, which eventually would impact the page-speed insight score of the website. GA codes should be placed at the head section of the website. A developer might wrongly place the GA codes while under maintenance or changes or simply miss it. In such cases the website’s traffic tracking becomes erroneous or is absent after it goes live. Just as the GA codes, event tracking codes could also be missed by the developer. After the website is live again, GA would be unable to track events and goals set if the event tracking codes are absent. Conversion and pixel codes are added on the thank you page of a website. A developer if mistakenly adds these codes on other pages, the GA tracking would be completely incorrect. A staging server is a development server on which a website is parked when it is under development or maintenance. If the developer adds live site GA codes on a staging server, then the Google analytics would show false data in terms of traffic, event tracking, goal completion etc. Another anomaly that could happen from a developer’s side is, at the time of making the site live, the developer might miss the GA tracking codes on some pages of the website. In such a case the Google analytics would not track such pages, eventually omitting significant data. The Google Analytics Tracking codes have to be added on all the versions of website i.e. desktop and mobile websites. If the developer doesn’t add GA code to the mobile website or mistakenly adds incorrect GA codes to it, the analytics would be fallacious. The response code on a staging serving is ‘503 maintenance’. The server response code if not changed to ‘200 OK’ of a fine working webpage after the website goes live, it would generate erroneous results. While the website is under maintenance the developer sets noindex robots meta tags which if not changed to index robots meta tags after the website goes live would enable the search engine crawlers to index the web pages. XML sitemap is either missed or generated for the pages which are blocked for search engines. For example, in WordPress, you might want to block an author, tags or custom attributes pages to be indexed. So make sure you are not generating separate XML sitemaps or adding them into existing XML sitemaps for the URLs which you don’t want to index. Make sure you upload robots.txt file and add URLs/directories which search engines should not index. Also give the path to XML sitemap at the end of robots.txt file. Your developer might have changed the URL structure of the website but missed to update them in the canonical tags. If you will keep serving old URLs in the canonical tag which actually do not exist or redirect to the new URL structure, this will be a big challenge in SEO rankings. Sometimes URLs of web pages are changed and they are not updated in the HTML sitemap. Also, HTML sitemap is using the URLs which are blocked for search engines. Common developer mistakes that harm SEO and should be taken care by the developer. While your website in on the staging server and is accessible by the search engines it would create a problem of duplicate content. It is recommended to block search engines’ access of staging servers by using robot.txt file while the website is under maintenance or upgradation. If you have blocked search engines for staging server and when you make it live, make sure you do not upload staging server’s robots.txt file on live site because this will block live site as well for search engines. You might need the short level URL structure because the pages at first level would get higher importance by search engines. Although the URL structure might get changed while your developer is working on the website. This fault would be unidentifiable unless you see it in the Google Search Console or it shows a 404 error or you check the URLs minutely. You might want to add something in the website but the developer has chosen unindexable formats like flash files, Java applets etc. Though Google is enough smart to index Java Scripts as well. You might have asked your developer to set up a blog on the website. It is possible that they either use an extension/plugin or use a completely new platform for the blog. For example- an eCommerce website running in Magento and the blog is built in WordPress. Consider all the optimization points you have given for the main website (Magento) and find new optimization work as well based on the new platform (WordPress), it will work like a new website. Maybe, the event tracking codes, GA code etc. are missing from the new platform (WordPress blog) or you may face many of the SEO challenges shared above. Alt tags and title attributes for an image are very important. Your developer might place wrong or simply miss them while altering the website. This would affect SEO of your website, although can be fixed even after your website has gone live. Another fault that can affect your SEO effort is misplacement or omission of meta description. Heading and subheadings are very important for any website/webpage. Your developer might miss or place incorrect/irrelevant headings and subheadings on the website. This will affect the SEO. For Example, You asked your developer to add a section on the website for reviews/rating on the product pages and the developer used H1 or H2 tags for the subheadings or usernames or the rating numbers etc. These do not have any value in terms of possible target keywords of the page. You should utilize the power of H2 etc. tags for other relevant keyword targeted sections. When a website can be accessed with multiple versions of URL like- www, without www, HTTP and HTTPS, it generates duplicate content at a domain level. While you are setting up the server, you should make sure your website has only one domain. A website if working with IP and domain address can create duplicate content issue. In such a case you should restrict the website’s IP version access, use robot.txt file to block the search engine, redirect the IP version of the website to domain version or you could use canonical tags to overcome the issue. A developer and an SEO expert should take care above points while creating a new website or enhancing it. If not checked the existing SEO efforts of the website will completely get wasted and your competitors’ website may overtake yours. You may need couple of weeks or months to regain your SEO. 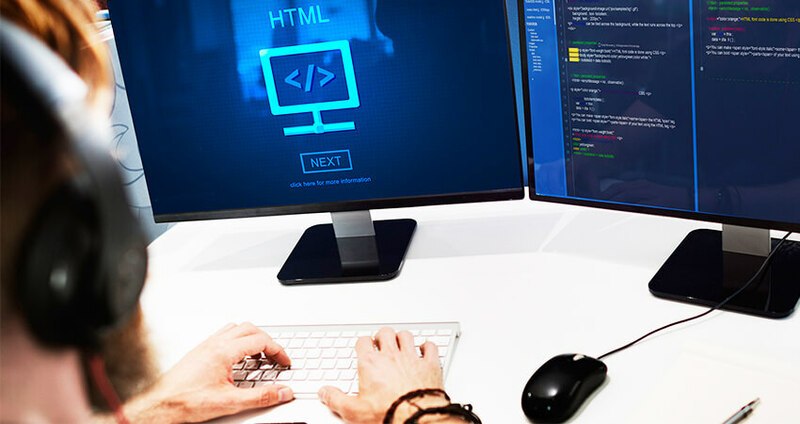 Either you educate your developers for SEO technical knowledge or the developers should improve their SEO knowledge them self so they can provide search engine friendly websites along with the user-friendliness. Need any help with your website technical Audit or want an SEO optimized website? Contact us. How Does Cloud Hosting Service Impact SEO?